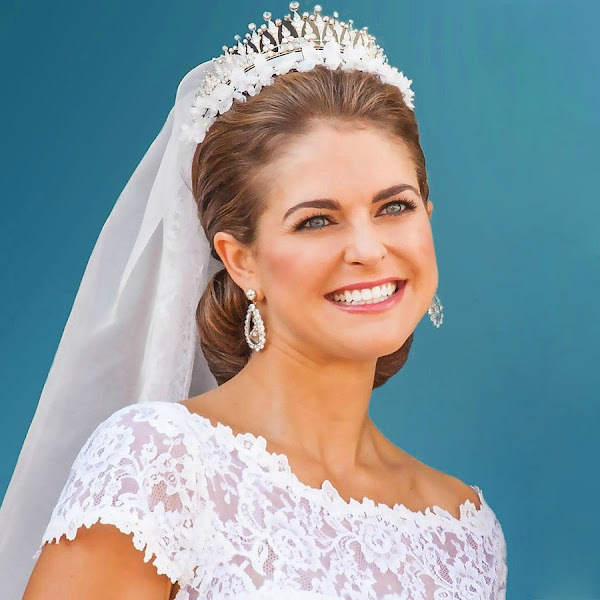 Princess Madeleine of Sweden, Duchess of Hälsingland and Gästrikland (Madeleine Thérèse Amelie Josephine born 10 June 1982), is the second daughter and youngest child of King Carl XVI Gustaf and Queen Silvia of Sweden. Upon her birth, she was third in line of succession to the Swedish throne. After the birth of her niece, Princess Estelle, in February 2012, she became fourth in line of succession. Princess Madeleine is married to British-born American financier Christopher O'Neill. The couple has two children, a daughter, Princess Leonore, and a son, Prince Nicolas. That is so true. And she seems, judging from interviews and comments from people associated with her, she is also a warm and caring person. She does come across as a warm and caring person. She has a wonderfule smile which, of course, adds to her beauty.